Questions: What Makes Music Attractive? We are all faced with the challenge to determine what is "music attractiveness". Do we determine the order of a calculated sound based on our own personal ear? Are we confined to an academic consensus from recent popular standard of sound? What influences may contribute to our perceived perfect sound? What is perfect sound mean to you and is it achievable? The topic of how styles are expressed can be a touchy subject that fosters strong opinions based a variety of training and personal development and experiences. One could think of style simply defined by the Merriam-Webster as "a particular way in which something is done, created, or performed"
Here are a few considerations while you seek the meaning behind style. When you listen to music, can you decipher the composer's nationality and the era of the music? Can you hear an orchestra and know which orchestra is performing? Could you go so far as to know which conductor is directing? Do they each have a style? A small example of periods of music, composers, orchestras, and conductors are offered below. Creating music is like baking chocolate chip cookies. With similar ingredients, one could modify the amount of ingredients used in the formula to receive varying outcomes. Yet, they are all accepted as chocolate chip cookies. 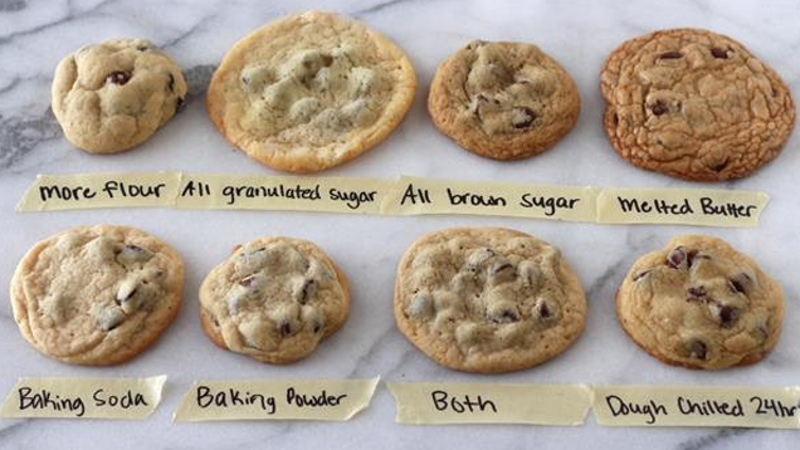 For each individual who may review the cookie chart may gravitate to one particular cookie that could be their perfect cookie and may argue it is the only way to make a chocolate chip cookie. What influences steers you to your perfect cookie (style)? The very basic thoughts and questions expressed are intended for readers to begin delving into music topics that may shape insights with their performance, philosophy, and listening skills.